At BuySpares it is our aim to empower you to fix it yourself. 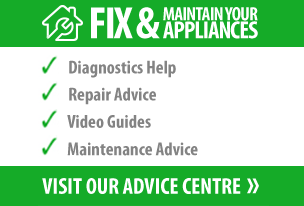 Through our range of appliance spare parts supported by our advice centre, we endeavour to provide you with the tools and information needed to tackle simple appliance faults – saving you money and benefiting the environment. One of our core areas is dishwasher spare parts. We have parts available for all the top brands, including Kenwood dishwasher spares and Beko dishwasher spares. In this post we focus on dishwasher repairs and maintenance. In recent months we have published a number of blogs around the subject of dishwasher care and maintenance. In our post titled ‘What’s Wrong With My Dishwasher?’ we look at some of the most common dishwasher faults and what can be done to fix it. 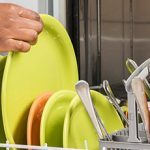 This post covers things such as what to do if your dishwasher is leaking or the basket wheels keep breaking. In the post ‘How Do You Load Yours?’ we reveal the secrets to avoiding common issues by loading your dishwasher correctly, while the post ‘Quick Checks to Maintain Your Dishwasher’ offers quick tips for cleaning and caring for your dishwasher on a weekly basis. Other topics covered in our dishwasher blogs include shopping around for a dishwasher repair service, combating cloudy glassware and a guide to the range of dishwasher parts available. As well as the information on our blog, we also have a number of handy dishwasher how to videos in our appliance advice centre. 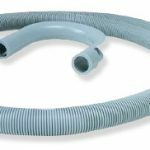 These cover everything from how to remove a dishwasher door catch to replacing a damaged or slack dishwasher door seal. You can watch some of our most popular dishwasher repair videos or visit our Advice Centre for the full selection.